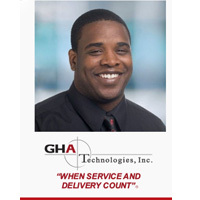 Introducing GHA Technologies, now Microsoft’s #1 Western USA Value Added Technology Reseller! Now the 12th largest private company in Arizona and the 69th largest private computer company in America! We invite you to apply to join our fast paced team, as we grow to become a $500 million success story. We are all very happy and excited for your fast growth. mentoring. and leadership. With great pleasure, because you are now selling more than $80k in sales and $8k in margin, please accept the position of Vice President of Sales and join an elite group of sales vice presidents at GHA Technologies, Inc. With this new position many more doors will open for you, sell even more at higher margins, enjoy more vendor leads, and we wish you continued growth as you use this opportunity to go deeper into existing amounts and up market into new accounts.